Greg Rolie. The manager Herbie Herbert actually recruited the members in that order. although it was Herbert´s associate that came up with the name Journey. The first album, released April 1975. After three albums they were told, get a singer, get some hit songs or you´re off the label. Robert Fleischman was suggested to meet Journey after a Columbia executive attended a showcase. 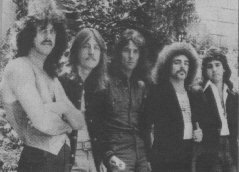 After rehearsals he joined for a tour with Emerson, Lake and Palmer in the summer of 1977.
by a band called The Alien Project, with singer Steve Perry. The switch didn´t take long. One of these demo songs finally showed up on Steve Perry´s 1998 Greatest Hits album. San Francisco. He sang two songs, including "Lights". 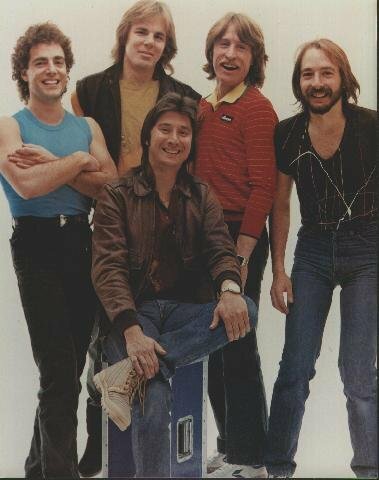 Perry´s first album with the band was released in January 1978.
was playing way too much for the simplicity of the songs. They all agreed on the decision. They found Steve Smith on the Infinity tour in the openers Montrose. He was asked in October 1978. 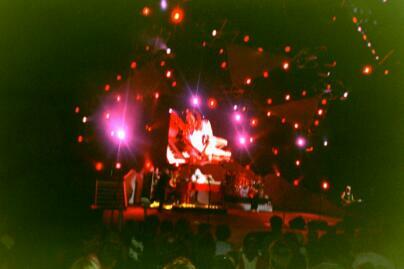 On the tour Steve grew to be a fan of Journey, he had bought the albums and listened to them at home. 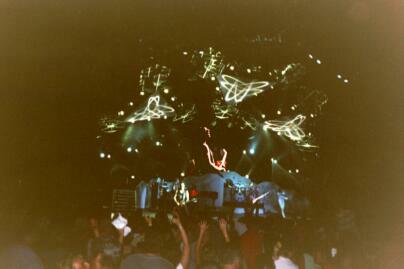 After two albums that climbed higher and higher on the charts it was time for live album. 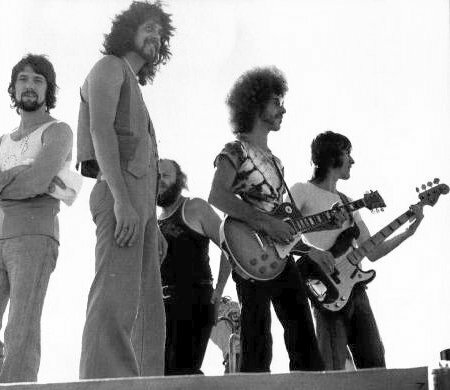 Gregg Rolie thought this was a good time to leave. He had been thinking about it for at least a year. Gregg had spotted his own replacement in the opening band on the Departure tour, The Babys. could. In the same way as with Steve Smith, Jonathan had grown to like Journey on the tour. Cain fell right in. Tunes poured out of Cain and Perry with Schon ready to sew them together. whole lot because of the way the guy could sing," he said. "All we had to do was to stay sincere." The debut for Cain was on June 13 at the Mountain Aire Festival 4 hours outside San Francisco. The band went into the Plant Studios in Sausalito in Novemver 1984 to record the next album. 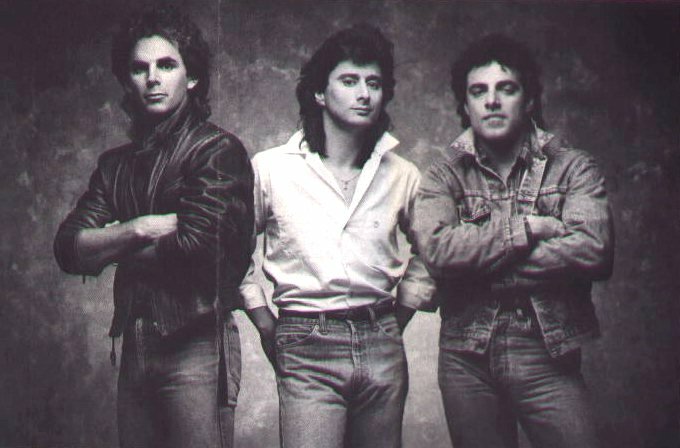 creative differences and Journey would continue as a three-man band. It was 1985.
almost two years, the budget went through the ceiling. drummer Larrie Londin had other commitments. Literally dozens of drummers marched in and out. 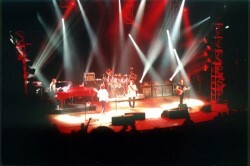 Three weeks before the tour was scheduled to start, the band selected drummer Mike Baird. over", he recalled. "It was a sad, sad night." Jackson and drummer Narada Michael Walden with a new vocalist Cain was producing, Michael Bolton. 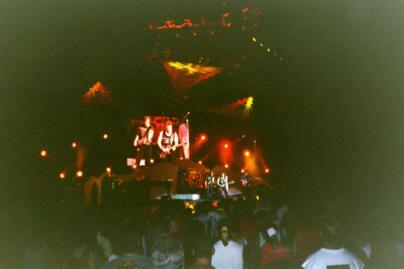 Journey won awards for Best Keyboardist, Best Guitarist, Best Vocalist and Best Group. previous weekend in a helicopter crash. The band had not been together in five years. 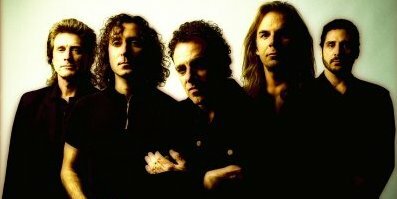 In 1996 the story continued with the release of the wonderful Trial By Fire album. 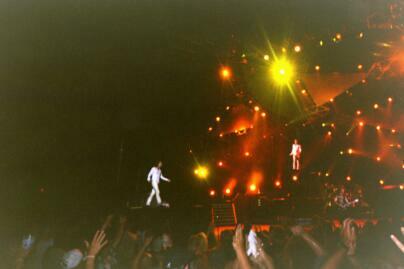 Back were the "original band", the ultimate Mark 3 line-up that recorded Escape 15 years earlier. 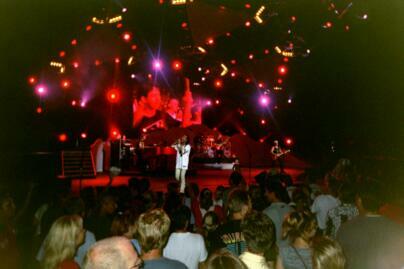 A tour was planned but because of problems with his hip, Steve Perry kept postponing it. After an almost two year long wait, they were approached by a singer called Steve Augeri. After hearing him Neal, Jonathan and Ross, decided to go for it, they could not wait any longer. 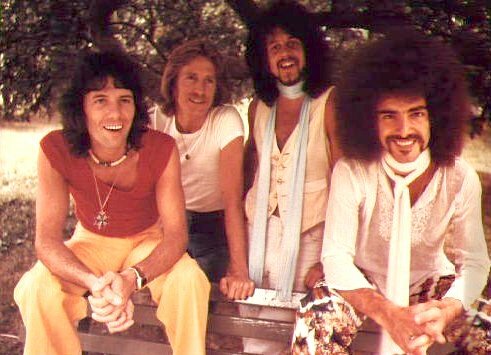 Steve Smith could not see Journey without Perry, and decided to go back to his Vital Information. The new drummer Deen Castronovo, played with Neal and Jon in Bad English. 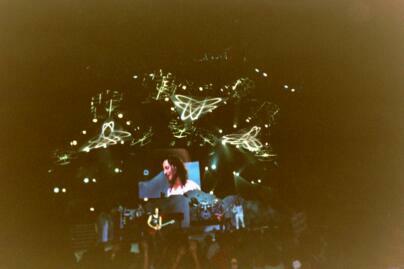 concerts in Japan. The World Tour started in October, but ended up being only a two month US tour. The response was overwhelming. Augeri got great reviews from those who actually gave him a chance. but continued with saying, they were crazy, but you people have been waiting long enough. 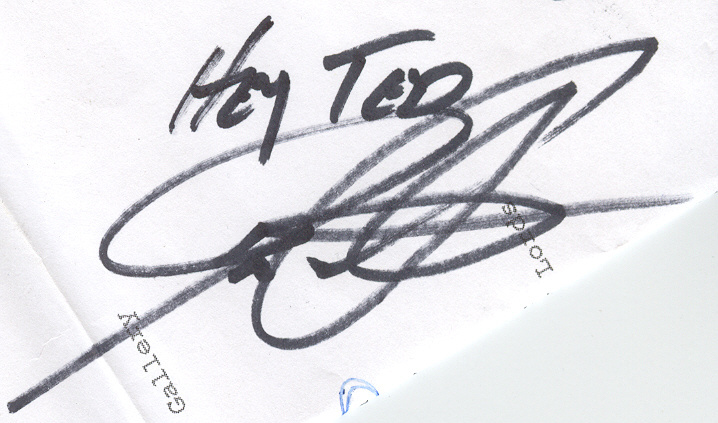 Ross added to Jon´s comments at the show in Portland, "We promise we're not going away this time." 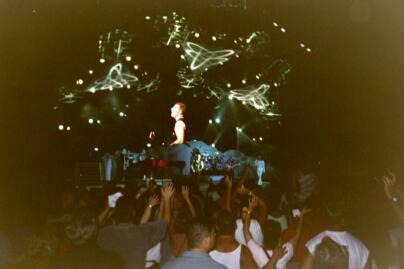 A summer tour started on June 2, 1999 and ended in August. 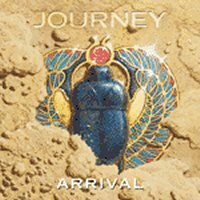 The new album "Arrival" was released in Japan October 18th 2000. Sony delayed the album for a February release in Europe and the US. "World Gone Wild". "I'm Not That Way" was made into the Japan bonus track instead. 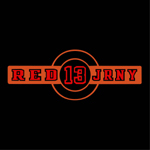 In 2002 a 4-track EP "Red 13" was released. on lead vocals, although Augeri gets most tracks. The drummer Deen Castronovo showed some amazing talents even on vocals. And the tour brought them to Sweden in 2006.
Who's Crying Now ? Not me, that´s for sure. with the official statement citing a "chronic throat infection." longer the lead singer, and said that they were looking to move in a new direction. in February 2008 in Chile, and released the album Revelation that June. 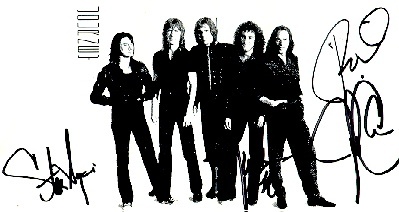 chart where the single "After All These Years" spent over 23 weeks, peaking at number 9.
spending 2009 working on a new album due out in 2010 and completing the second leg of the Revelation Tour. who expressed what Marin Independent Journal writer Paul Liberatore called "an undercurrent of racism." 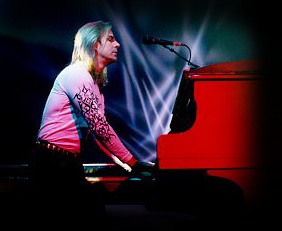 Keyboardist Jonathan Cain responded to such sentiments: "We've become a world band. We're international now. We're not about one color." on a loudspeaker and missed the first words in the chorus. sounds as good live as Perry does on record, I must say that he is AT LEAST just as good. Time: 8.21 p.m. -10.04 p.m.
Encore: 10.07 p.m. -10.18 p.m.
he added, "How many are you ?" and I replied, "just me", and then I got a pass from him directly. Time: 8.17 p.m. -10.06 p.m.
Encore: 10.08 p.m. -10.20 p.m. Waiting for Journey, backstage after the show, I met a huge Journey fan that was really nice. He is on the photo with Jonathan and Neal, I never got a picture with me on it. We had to move on. just two weeks before. Ross said "Does he still live in Dalarna ? Tell him I said hello." and he said, "I know the problem, next year there will be an album with me on it though." both on the new Merry Axemas CD. Finally I met Deen. 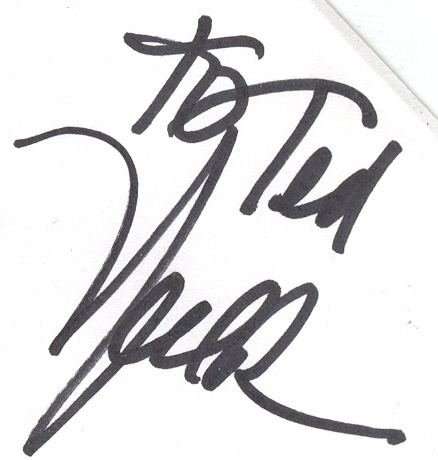 He was glad to be able to sign an album that he was actually on, Bad English. He added, "What do you think of that hair-do?" and if you have seen the album, what could I say !! possible, but it´s the truth. He sings the same way and is as good live as Perry is on the albums. And then on top of that he has great stage presence, a great frontman. In one word - Brilliant. in the beginning of the tour, so they had taken them out. decided to go on a summer tour of the states before finishing it. Again I saw the last two dates, at home by the bay, in Concord and Sacramento. Time: 9.16 p.m. - 10.39 p.m. Encore: 10.41 p.m. - 10.54 p.m.
Time: 8.21 p.m. - 9.45 p.m. Encore: 9.47 p.m. - 10.02 p.m.
blues intro Dreams Come True Today ? 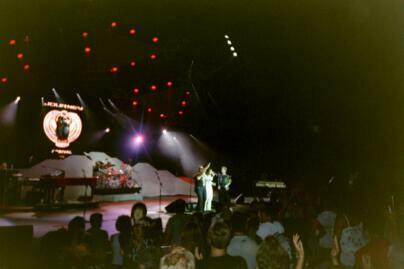 At the first show in Concord I also saw the support act Foreigner. on the good old songs like Cold As Ice, it sounded terrible. Lights with saying, "This belongs to this town." The Sacramento show was even better. They seemed to have a lot more fun and they had a lot more to say. Jon: "Is this a great night for a rock show, or what. I say it's a great night." Steve: "Nice to be back in the Capital of California"
Steve: "Making Love To You Is Like A Fast Car down a Sacramento road"
Steve's end comments: "Thanks to the road crew. It's been the greatest couple of weeks. How many of you remember the beginning. ", presents Neal and Ross. "Then we have picked up passengers along the way, you know Jonathan Cain. ", then presents Deen. Steve ended with: "It's not always easy to accept change. I wanna take the opportunity to thank you for letting me sing for you tonight." The highlight, I think was, Anytime in Sacramento. Excellent. 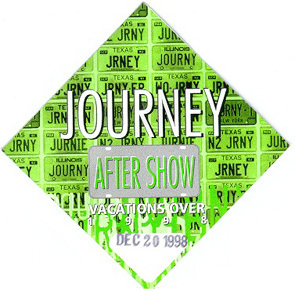 And also, I met a Foreigner fan at the show in Concord that wasn't into Journey at all. When the show started he began with, "That isn't Steve Perry." No, but he is just as good, I said. He even thought that Augeri was miming to a Perry-tape. Then he said "That isn't Greg Rolie." No, but Jonathan was with them already on Escape. he said, "Was he with the Babys ?, I saw them in concert, they were great." When I added that Deen was with Jon and Neal in Bad English he started to accept everything. Finally after the show he said: "I must admit that Journey was better than Foreigner." Time: 9.44 p.m. -11.21 p.m.
Encore: 11.23 p.m. -11.30 p.m.
can't seem to respond to the new material. Highlights: All songs that I hadn't heard live before, but especially Higher Place. Time: 9.0? p.m. -10.47 p.m.
Encore: 10.49 p.m. -10.57 p.m.
Can't really understand why Neal has to solo already after two songs. Chain Reaction worked better after Higher Place than before. Even the audience responded to Higher Place this evening, wow. 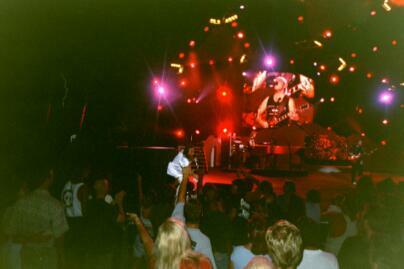 In 2002 Journey was out on their fourth tour since Augeri joined and that was the first tour I missed. I couldn't go since I was blessed with a son (named Ted after Ted Nugent) on May 3. 2006 took Journey to Sweden, finally !!!! Backstage me and Ted met all the members from one of my favorite bands Journey. 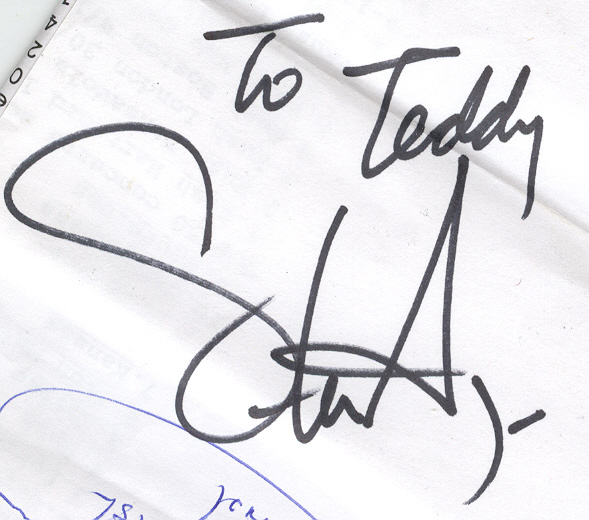 The singer Steve Augeri and the drummer Deen Castronovo thought that my son was SO CUTE, and he really is. 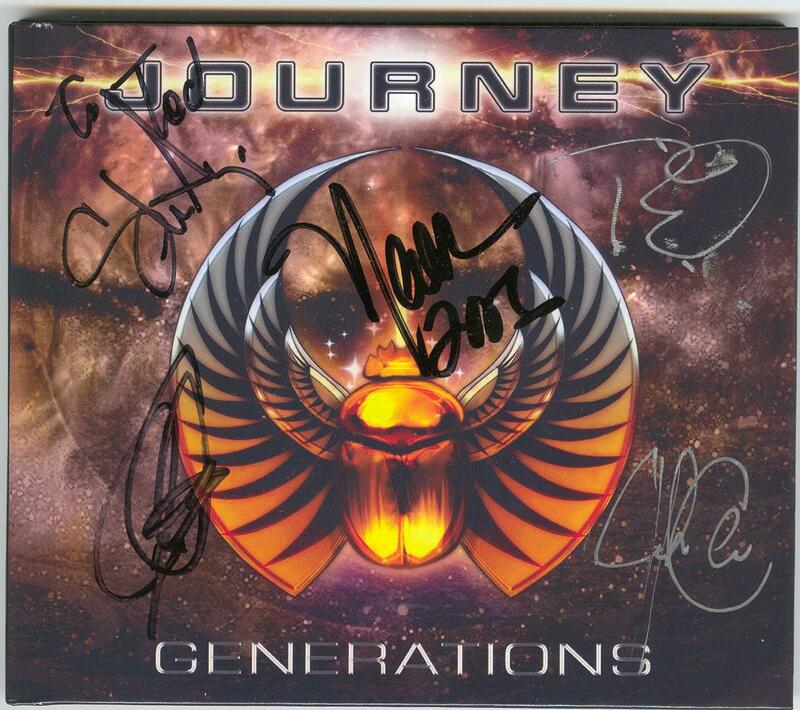 I had met them once before, 1998 in Portland, Oregon on their first tour with Steve Augeri. Jeff Scott Soto jumped in on short notice to save the tour. 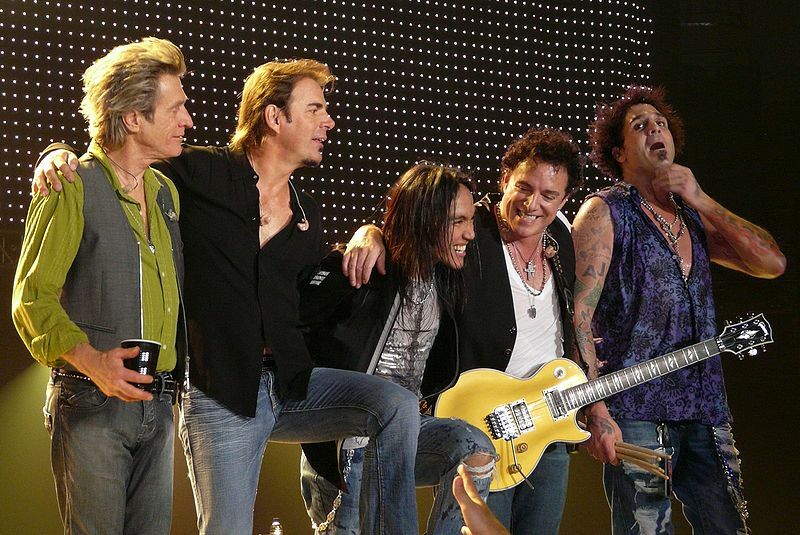 arrived in Minneapolis on July 27, 9 days after Journey had played there. possibly it was meant to be a second encore but time or arranger didn't allow it. Once again it was a great show, but sadly no songs from Trial By Fire or Arrival. The Storm World Wide Web Page Great Page !! Up until 1991 the text is edited from the TIME booklet´s liner notes by Joel Selvin. Then from 1996 and onwards it is my own thoughts and comments.